Kapow! A high-energy, fun-packed feast of games will have the kids transfixed. 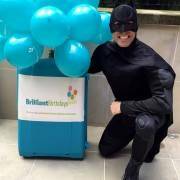 If you are looking for an excellent Batman Children’s Entertainer in the London area then look no further! 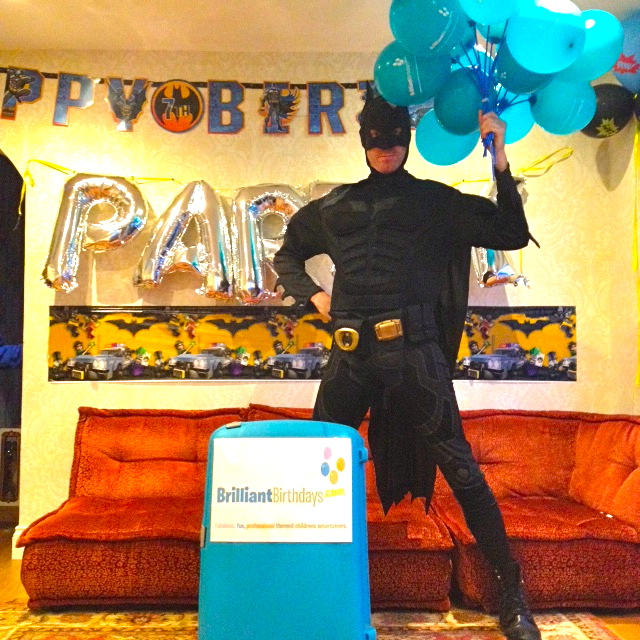 Brilliant Birthday’s Batman parties are always a BLAST!!!! Your Batman entertainer will provide all the superhero fun, all you’ll need to provide is the Birthday Tea and of course the Birthday cake! Have The Dark Knight himself make an appearance at your children’s themed party entertainment! 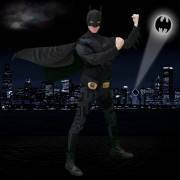 Our Batman Lookalike Children’s party entertainers may as well come straight from the Bat Cave! 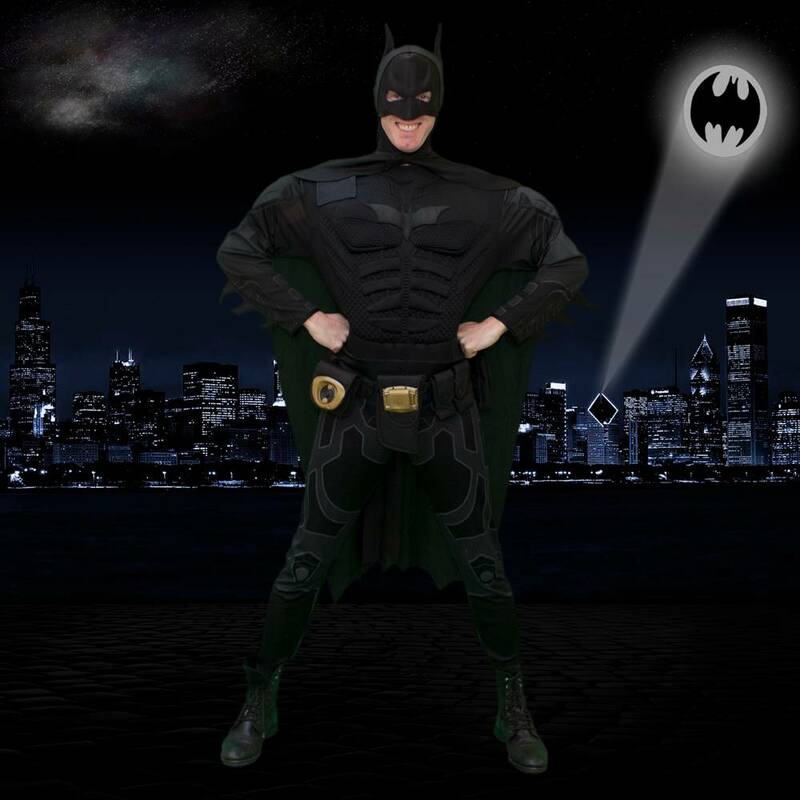 Our professional Batman lookalike kids party entertainer will have up to a maximum of 30 kids looking like mini superheroes in no time! Your 1, 2, or 3 hour Batman children’s themed party entertainment, suitable for both boys and girls, will bring Gotham City straight to you, with Superhero Musical Statues, Parachute Fun, Superhero dancing, and more! 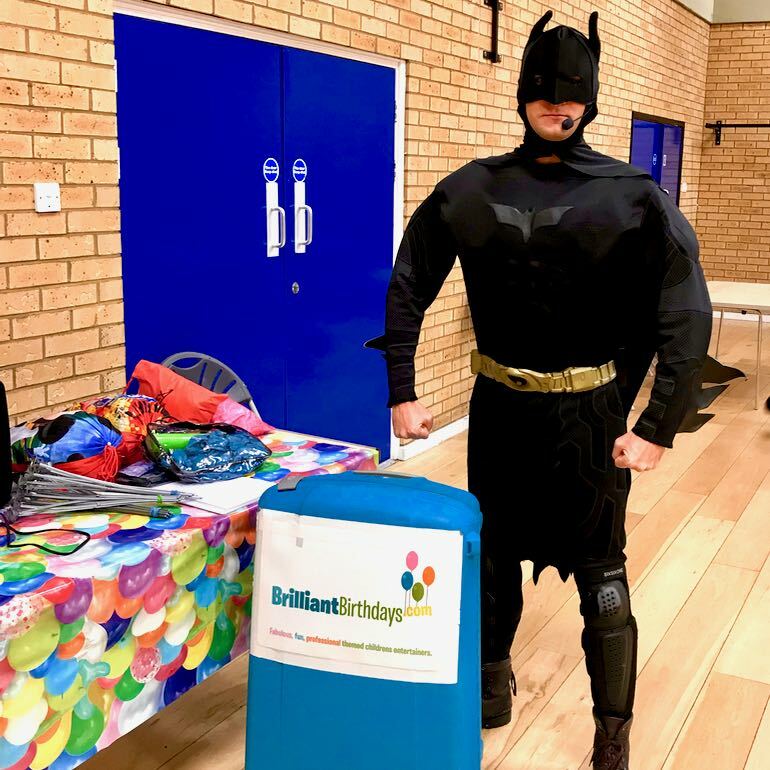 Our Batman lookalike kids party entertainer will select a range of activities depending on the length of your party with his Superhero strength! 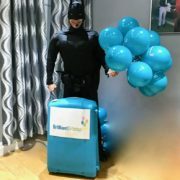 If our Batman Lookalike kids party entertainer will be journeying to your party within the M25, there will be absolutely zero travel charge! 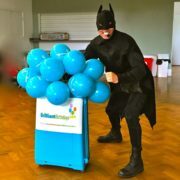 If your Batman Lookalike children’s themed party entertainer will be driving the Bat Mobile a little further to a venue outside the M25, there will be a travel charge of only 40p per mile from and back to the M25! 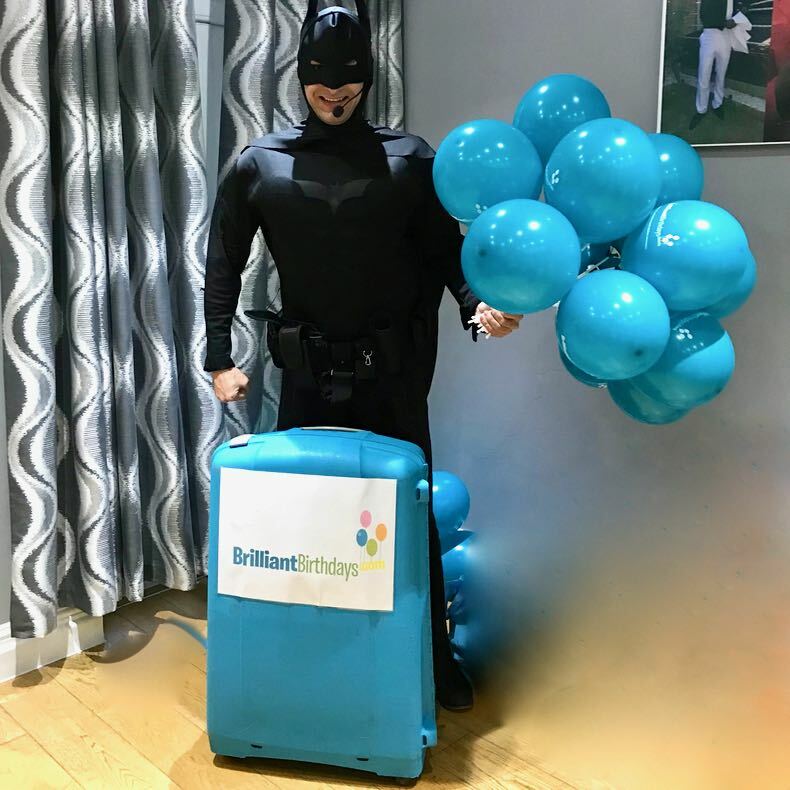 Our Batman Lookalike kids party entertainer may be The Dark Knight, but we can assure you he will do nothing but brighten up your children’s themed party entertainment! 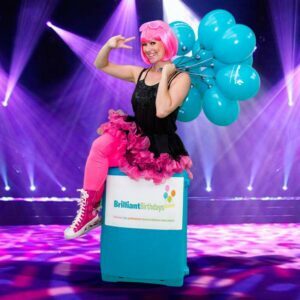 So book our Children’s Entertainers London, and we’ll be sure to save the day! What a fabulous Batman Party – thank you. 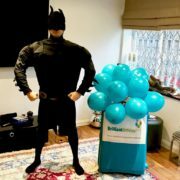 All the kids were in awe of Batman who was great fun, entirely engaging and kept the rabble under control. They were well and truly entertained throughout the whole party. Very organised and easy to work with for us mum’s too – thank you! Thank you so much for helping me yesterday it was a total win. A Very amazing and gentleman Batman came to party with us and grace the birthday of my son and it was a dream cone true for him to finally see Batman. Hahha thank you so much! He didn’t even want to leave and cried even. He said next year Batman will come back on his next birthday. In shaa Allah! The twins also invited him to come as Steve of Minecraft on their upcoming birthday. So I will contact you again before hand. Thank you so much guys! You are truly brilliant and your entertainer was awesome very kind, the kids really liked him! Kudos! We could not be happier with the party package you provided, Gary was amazing and did not stop entertaining the children. Oliver is normally shy but Gary managed to involve him in very single game and dance. The other parents at the party also commented on more than one occasion how good the entertainment was. I would be honoured for you to use Oliver’s picture on the website, please pass on my thanks to Gary and I would certainly recommend you to anyone. Party was fantastic! Communication Claire excellent! Olivier and his pals had a brilliant time:) The Batman was a true star!!!! !amazing & so interactive! The children were captivated and so were the parents, who all commented on how great Gary was! A special 5th birthday that Olivier will be sure to remember. A super day had by all so many, many thanks !!!! A great Batman and Jungle Jim party. The kids loved it and the parents got to relax (a bit)! Loads of great games and props and energy! Gary was great at keeping the kids interested and involved very happy. Thank you. 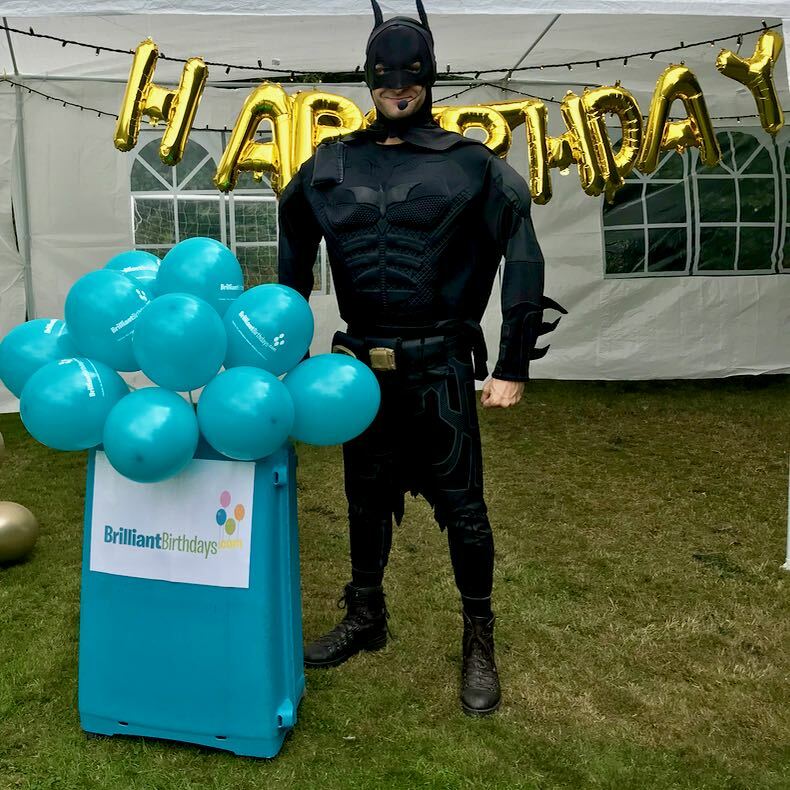 More than 20 4 /5 year olds had a whale of time at our Batman Birthday Party in May 2017. James was an excellent entertainer, kept them busy with fun games and dancing and was so well organised. Great fun for all.Thank you. Gary was amazing, he was a fantastic batman and went above and beyond to make sure my son had a brilliant time. He phoned me to confirm every step of the party 2 days befor and spent 15 minutes going through what was going to happen. The games were brilliant, he kept all 30 children fully entertained. I would most definatly recommend to others to use brilliant birthdays because that’s exactly what they are BRILLIANT! Gary was absolutely fantastic at my son’s Batman party. He kept the children engaged throughout. I would definitely recommend him. My son had a great time! Thank you so much. One of the best entertainers we have had (family of 3 boys). Batman was in total charge of the party, calm and great fun with the kids. Lots of games, prizes and balloons. Four year old heaven. Could not recommend more highly. Absolutely fantastic! I found Brilliant Birthdays through an online search for a decent Batman children’s entertainer for my son’s 5th birthday party. The great reviews that convinced me to use them were spot on. From initial contact, right up until after the party, the company was professional, helpful and responsive. And as for our Batman (Gary), he completely exceeded my already high expectations. He truly is brilliant! He called a couple of days before the party to go through the ‘running order’, keen to ensure that what he had in mind fitted in with our plans. He turned up super early (before us!) on the day and then, seeing that we were a little rushed getting organised, very sweetly offered to help. The kids adored him and he did an amazing job keeping them all entertained throughout the whole party, including convincing my initially hesitant son to join in. I would 100% recommend Gary and Brilliant Birthdays to others and plan to use them lots more in the future! 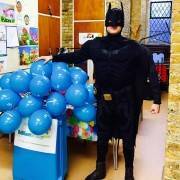 We chose Batman Party for my son’s 5th birthday. Gary ran the party for us and kept the children fully entertained for the whole two hours. He included all the children in the fun games and they all had a wonderful time. I can highly recommend. Thank You Gary and Brilliant Birthdays! Brilliant Birthdays did a fantastic job of providing entertainment at my son’s 6th birthday. Completely professional, well organised and the kids loved it. Great variety of games and kept everyone engaged through out. 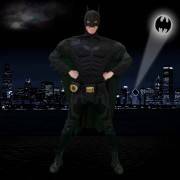 Tony was a fantastic Batman! Fantastic Batman, all the boys at the party were impressed. Would highly recommend! Thank You Brilliant Birthdays! 100% 5 Stars You guys did an amazing job Thank You! 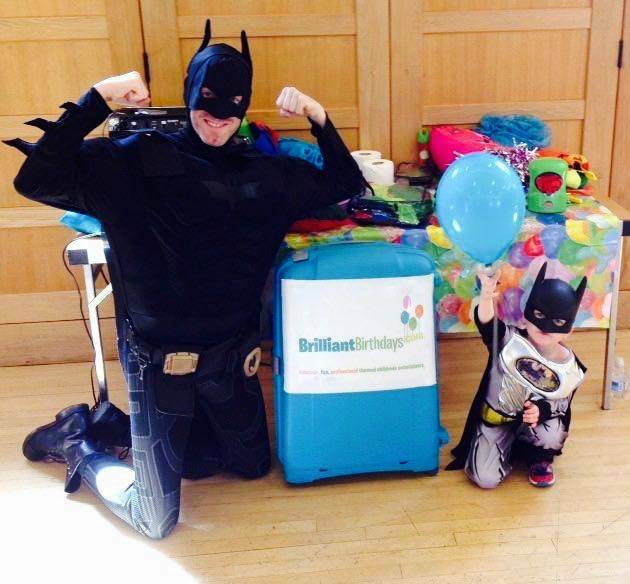 I had the pleasure of hiring Brilliant Birthdays for my sons 5th birthday Batman Party and it was fantastic. Everyone was incredibly impressed. 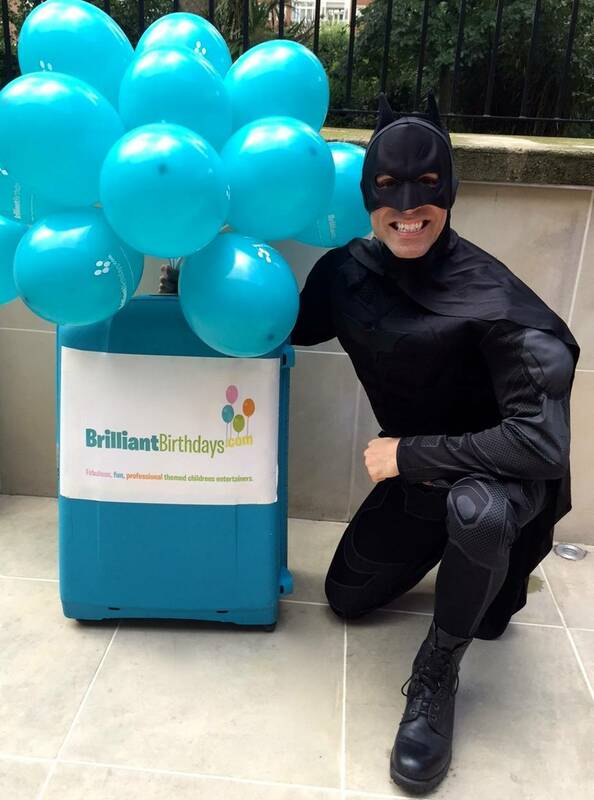 Thank you Brilliant Birthdays for making a brilliant party! Our entertainer, Vlad, had the task of appearing as Batman for a group of 5 year olds. He arrived promptly, was highly motivated and had excellent empathy with the target audience! Overall, we could not have asked for more. Well done Vlad and well done Brilliant Birthdays. 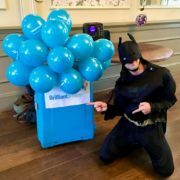 We had Batman Lookalike Party and it was very nice and smooth! Thank you Brilliant Birthdays for making my life easy! See you next year! 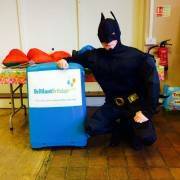 James did a great job as Batman, keeping the children engaged, happy, and entertained throughout. He chose some great games and handled all of the children like a pro. Also seemed able to learn the names of 20+ children very quickly, which was great. 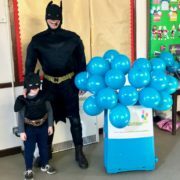 My son was soooo excited and happy to meet ‘the real Batman’. Highly recommended. 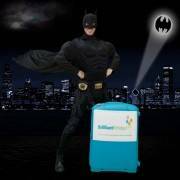 My son still believe that it was a real Batman ! Thank you Brilliant Birthdays! 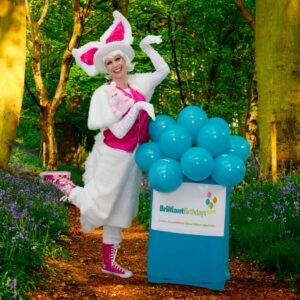 You are the best children entertainment company in the city! I will recommend you to everyone! Fantastic company. We hired Batman children entertainer through Brilliant Birthdays and he was amazing. All were super efficient and to a very high standard. We will be using you for any party needs in the future and would not hesitate to recommend.Thank You! 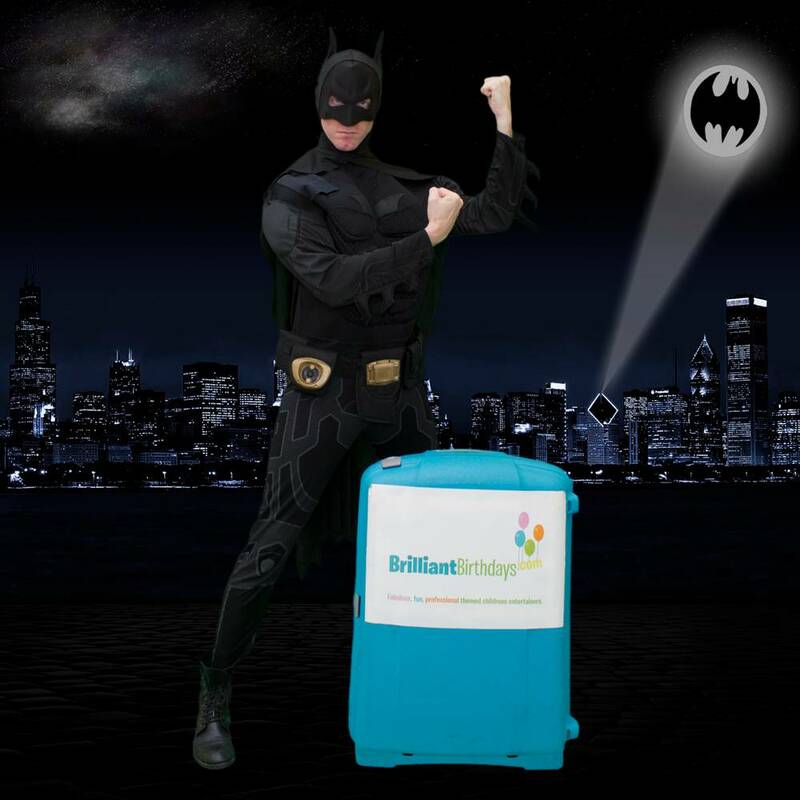 Highly recommend.. we booked an entertainer and we had 20 children (variety of ages) coming over. . they were kept entertained by Batman for an hour. Both children and parents were very, very happy . Thank you Brilliant Birthdays! 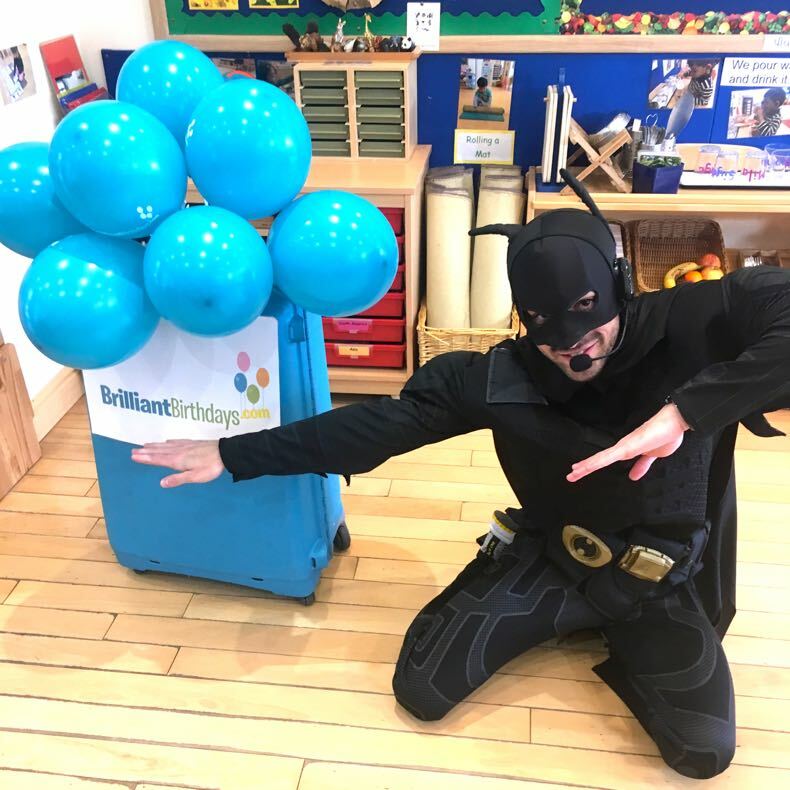 Fantastic superhero entertainer, kept all 30 children (4 & 5 year olds) hooked from start to finish with his dancing and games. Most of all, his style of interaction with all the children was amazing. He engaged with all of them. He made the birthday boy the centre of attention but included all the other children as well. THANK YOU ! We had a Batman coming over and he was smashing! A lots of games and activities for the little ones! They all loved it! I will get in touch with you soon again! 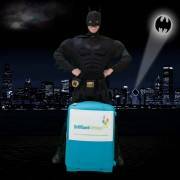 Thank you very much for Batman themed party provided. Everyone loved the party. Parents were asking me for the details of your company . We are very pleased and will definitely book you again next year! My son had a great party last Sunday and all the other kids loved it too. Batman was great with all of the kids. Nice to have the pressure taken off the parents, it was lovely watching the smiles on all of the kids faces. Thank you Claire and Brilliant Birthdays Team! Our children entertainer was absolutely brilliant! 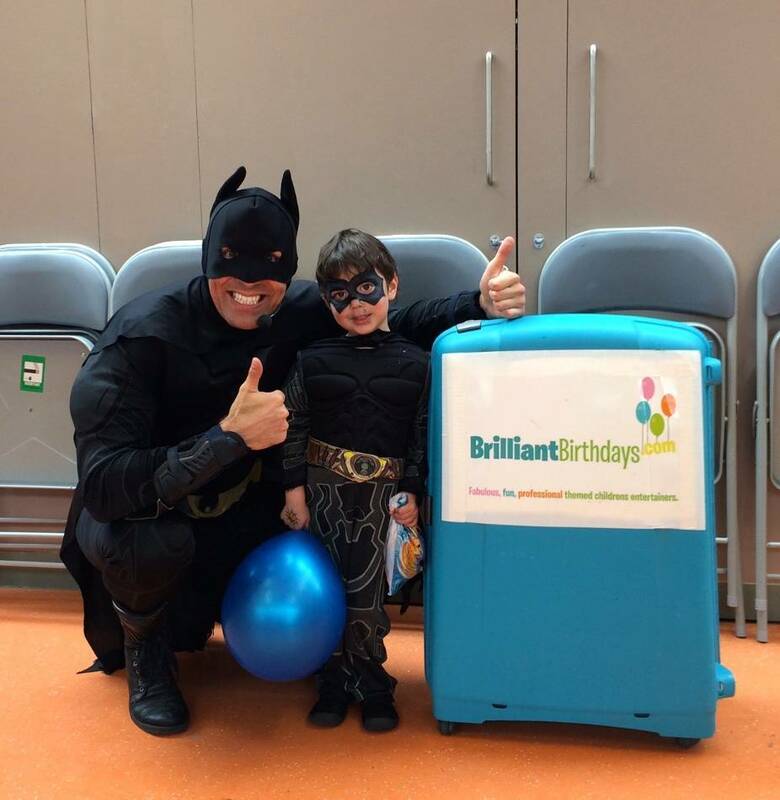 He kept the kids attention amazingly and would definently recommend Brilliant Birthdays! I booked you guys for my sons party. You were brilliant just like your name. The kids loved the entertainer Thank you!!! 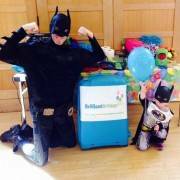 My son was really thrilled to have his Superhero party with “the real Batman”!! Our Entertainer engaged the kids brilliantly for the whole time and the booking process was really smooth and easy to follow. Would definitely recommend! Thank you so much Brilliant Birthdays! !